Michele Greer said the picture she took is chilling to her now -- a happy moment frozen in time before the unfathomable horror that shocked and crushed the nation. A North Carolina mother, who took family vacation pictures at Myrtle Beach earlier this month, captured images of Shanann Watts and one of her two daughters days before they were murdered. Shannan’s husband and the girls’ father, Chris Watts, is also visible in the photos. He is the prime suspect in their deaths. Michele Greer said she spoke with Shanann while their children played. The Fayetteville mom was horrified to hear what happened to Shanann and her two daughters just days after that interaction. “She was very sweet and very loveable with the girls; it was all about the girls,” Michele recalled. 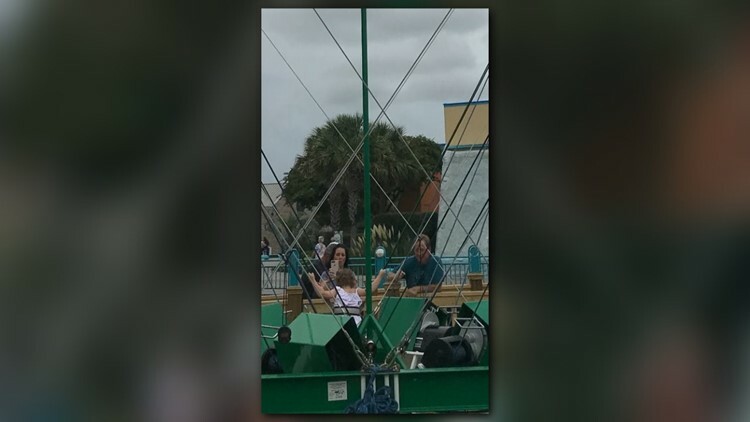 The two families met while waiting in line for the bungee trampolines at Myrtle Beach. Michele and Shanann hit it off right away. However, Michele said, Chris seemed standoffish. In the background of Michele’s picture, you can see Shanann taking photos of four-year-old Bella. Shanann’s father appears to be beside her, Chris behind her. The photos were taken August 2. Less than two weeks later, the news hit that Shannan and her girls were murdered, allegedly by Chris. Michele said she doesn’t buy Chris’ side of the story. In an affidavit unsealed on Monday, Chris claimed Shanann killed the girls, and he retaliated in a rage, killing his wife and unborn son. Michele said the picture she took is chilling to her now -- a happy moment frozen in time before the unfathomable horror that shocked and crushed the nation. “It is very eerie,” Michele said. “I was talking to my children on the way home from school, and they don’t understand. They said, 'What happened? Why did their daddy do that?' And I said, 'Honey, I don’t know, nobody knows.'" Chris appeared in court Tuesday and was formally charged with nine felony counts including several counts of first-degree murder.